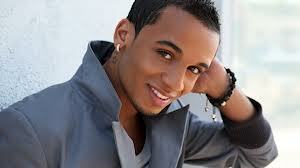 Aston Merrygold from the mega-popular boy band JLS has joined Sky1's Got To Dance replacing Adam Garcia on the panel. He will use his knowledge of choreography to judge the fourth run of the talent show with auditions starting last week in Manchester and continuing across the UK until late August. Got To Dance will return to Sky1 in 2013. West End star Adam Garcia's is starring in the Chichester Festival Theatre and Old Vic production of Kiss Me Kate which means he is not available to film the next series early next year. Kimberly Wyatt and Ashley Banjo will return as judges for their fourth year while Davina McCall continues hosting..